Fresh Bath™ Body Wipes give that clean-all-over feeling miles from the nearest shower. With just one Fresh Bath™ body wipe you can clean and refresh your whole body! 8 wipes per package. 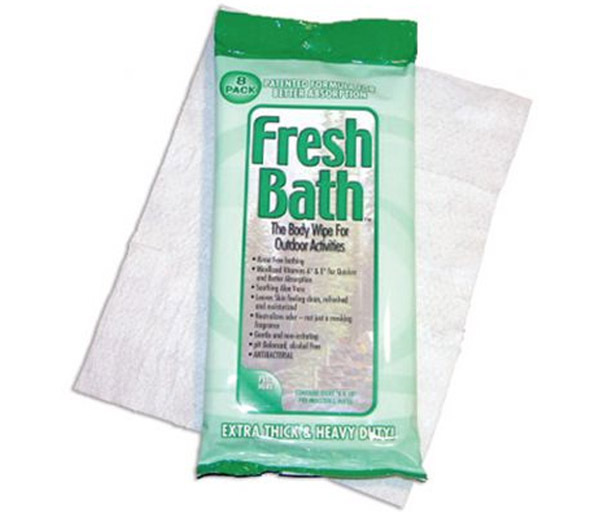 Clean your whole body with one 10"x8" wipe!